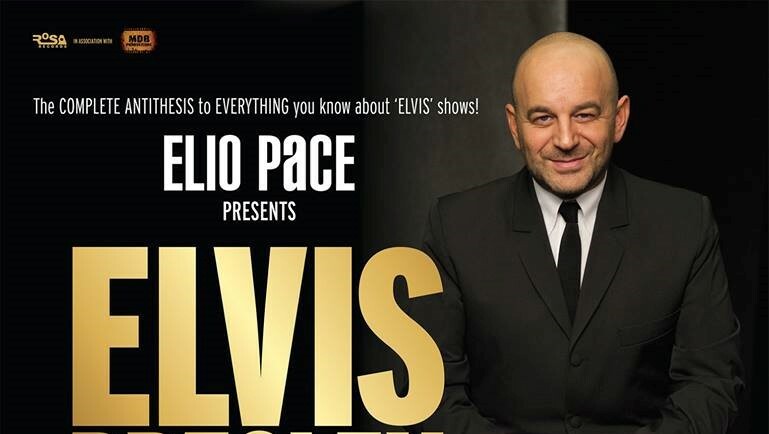 On August 16th, 2017, commemorating the 40th anniversary of the death of Elvis Presley, acclaimed singer-songwriter, Elio Pace premiered a very special, intimate and completely unique concert honouring his childhood musical idol. Elio’s personal and heartfelt performance featured many Elvis Presley classics as well as some rarely-heard and forgotten gems. The sell-out concert received 5-star accolades across the board and was cited by many as the greatest show they had ever seen. After a hugely successful inaugural tour of the UK in July 2018, and due to overwhelming demand, ‘ELIO PACE presents ELVIS PRESLEY’ is touring once again in selected theatres all across the UK. Elio’s sensational singing and electrifying piano-playing is ingeniously accompanied on stage by only the dynamic and percussive power of the incomparable drummer, Steve Rushton. Coupled with some insightful and moving anecdotes about Elvis’ life and career, never before will you have seen or heard Elvis’ catalogue presented like this. Not a white jumpsuit in sight; this is the complete antithesis to everything you know about ‘Elvis’ shows! Kindly note that this show is presented and promoted by an external hirer of our facilities. The Point therefore cannot accept responsibility for the content or production values of the performance.